Charmander! 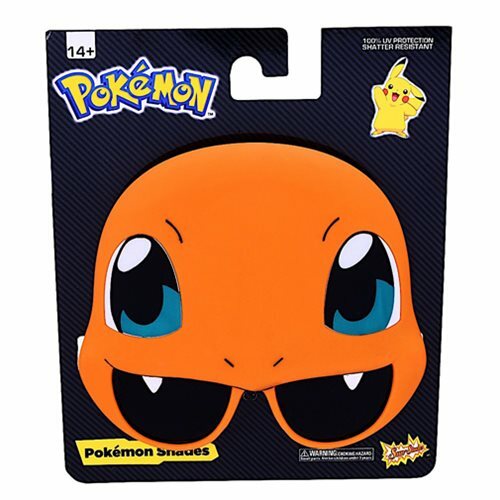 Choose Charmander to help you protect your eyes with these Charmander Sun-Staches! This fire pokemon hangs out while your eyes are protected 100% UV400 protection! During your journey of becoming the best trainer, never leave home without these Pokémon Charmander Sun-Staches. Measures approximately 8-inches wide by 7-inches tall. Ages 14 and up.